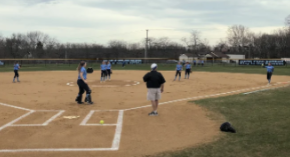 SOFTBALL- he Knights started out quick and held on to a lead all the way through, winning the game with a final score of 6-4. 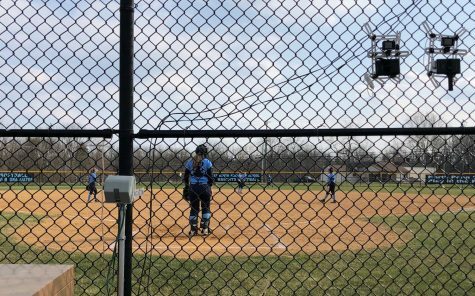 The North Penn Knights faced the Ford’s of Haverford on the diamond. The Knights started out quick and held on to a lead all the way through, winning the game with a final score of 6-4. 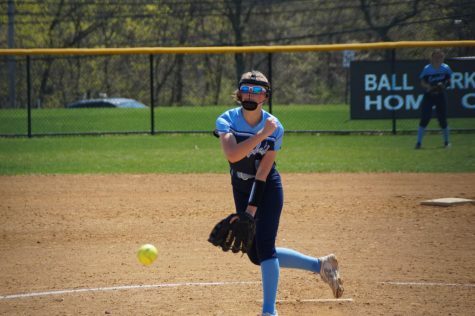 The Knights were once again led by a freshman pitcher, this time it was Rachael Lowry who was given the ball. She was in control for most of the game and was helped out big time by her teammates in the field. The victory also was coach Torresani’s 350th win. In the first inning, Haverford led off the game with a single by center fielder Ali Murphy. Two batters later, Morgan Marchesani stepped to the plate and crushed a double to drive in the opening run. 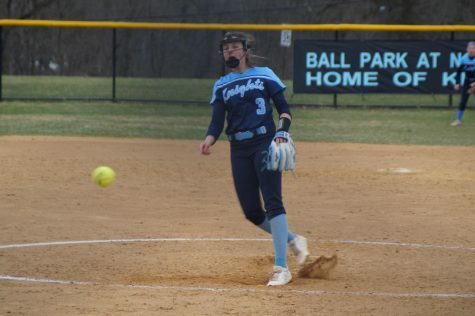 Hope Coacher had an opportunity to knock in the second run, however Emily Goarke made an excellent catch and threw a bullet to third base to catch the runner out tagging from second. In the bottom half, junior Jordan Pietrzykoski hit a two out double that drove in the first two runs which was followed by a RBI single by Jamie Beer. 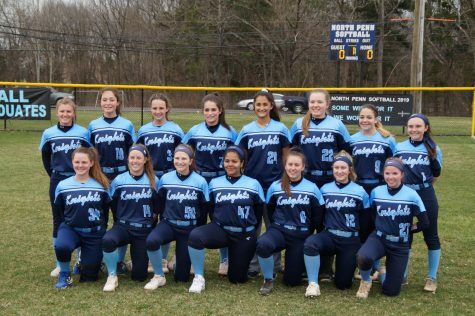 The Knights grabbed another run in the second inning thanks to a double by Amanda Greaney that drove in Victoria Juckniewitz. 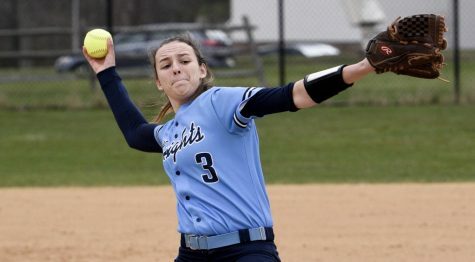 As Lowry continued to take out Haverford’s offense, the Knights offense did its best to support their young pitcher. 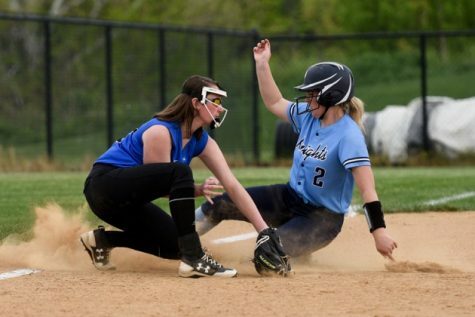 With runners on second and third, senior Erin Cliver hit a soft ground ball to third, but it was hit well enough to allow the third baseman to only be able to get the out at first, leading to another run by the Knights who led 5-1. 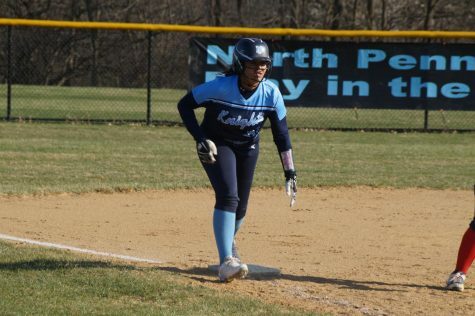 However, key mistakes on the base paths minimized the offense for the Knights. 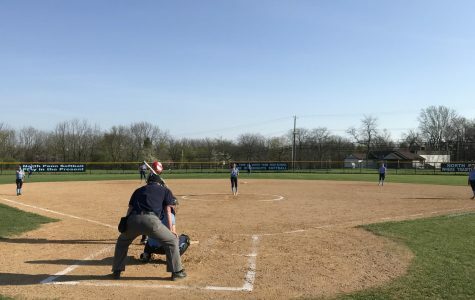 Haverford got a timely single by Coacher and they did threaten to score more runs, but a crucial strikeout by Lowry stopped any hopes for Haverford. Senior Tori Chiu got a run back with a fielder’s choice that got the lead back up to four. In the sixth, Ali Murphy capitalized on her scoring chance with a single that drove in two runners, bringing the score to 6-4. 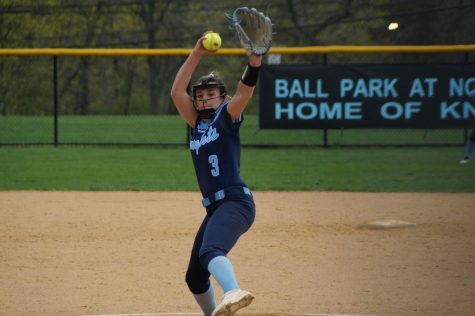 However, Lowry kept strong and located her pitches when she needed to, finishing out the game with 5 straight outs. 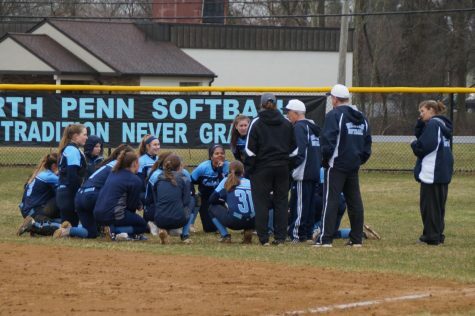 The Knights move to (5-0, 3-0 SOLC) on the season and play Quakertown, home on Friday the 13th, first pitch at 3:45.